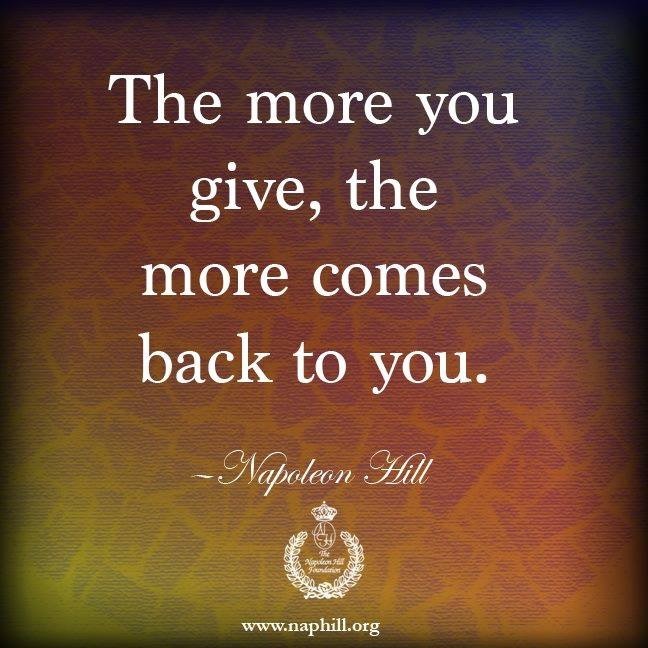 The more you give, the more comes back to you. This is a natural law of the Universe. I remember being in a training class and hearing the instructor say “Givers get.” It’s the truth. Just think… If you want love, you have to give it. If you want someone to smile at you, smile first. If you want money, you give it out first. Helping someone is a blessing and it’s always return to you even if it’s not directly from the one you blessed. Dream Big, Leader. Positive Vibes attract Positive Vibes.